“These giant viruses have probably been overlooked in soil ecosystems, but if you look at major capsid proteins, which are barcodes or snippets of them, they’re all over the place,” said JGI Microbial Program head and study senior author Tanja Woyke. The giant virus genomes were discovered by Frederik Schulz, a JGI research scientist, while helping Lauren Alteio, a UMass Amherst graduate student in Jeff Blanchard’s lab, analyze her metagenomic data. “The large number of distinct giant virus genomes found at this sampling site is unparalleled compared to other metagenomic data sets I have seen,” said Schulz. The data was generated from soil samples Alteio collected as part of Blanchard’s project with the JGI’s Community Science Program. 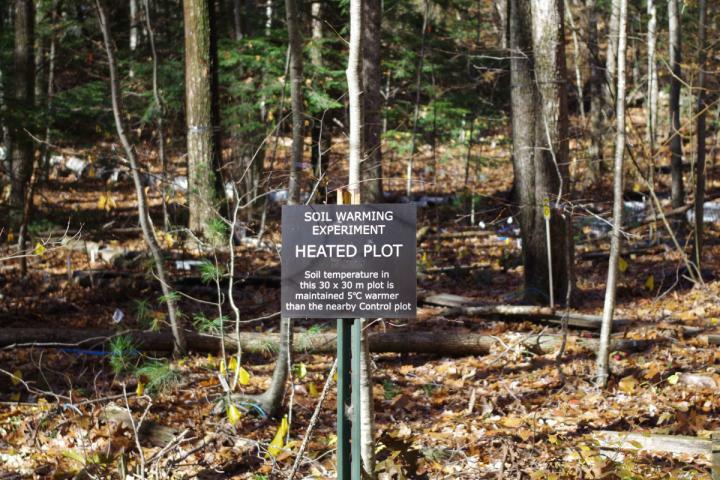 For nearly 30 years, the Harvard Forest in Massachusetts has been home to the world’s longest running soil-warming experiment. Funded by the National Science Foundation’s Long-Term Ecological Research (LTER) Program, a portion of the 4,000 acres has heating cables buried a few inches underground regulating the temperature to constantly be five degrees warmer than nearby control areas. “This nonstandard approach was taken deliberately to break up the diversity into smaller chunks. Had we only done it the regular way, we would have missed these giant viruses altogether,” said JGI scientist Rex Malmstrom, also a study co-author. “The wealth of giant viruses in soil is remarkable and underlines the ubiquitous nature of these enigmatic entities and that these viruses are still mostly underexplored,” said Schulz.